Owning a DSLR camera is the best toy a girl could ever own, but sometimes a girl's gotta match a bag to her outfit. 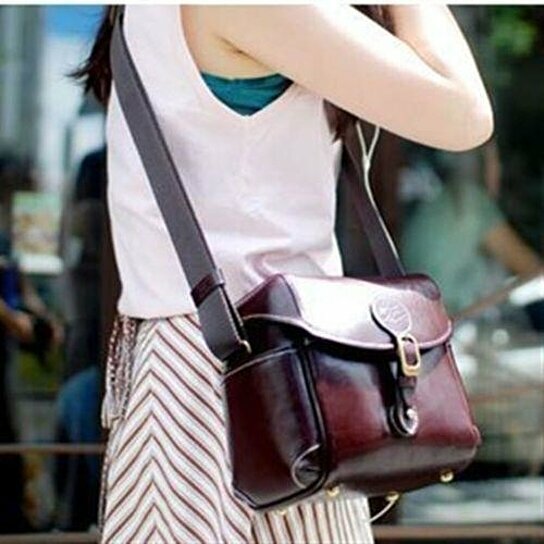 This classic style DSLR bag is a perfect accessory for any photographer. Sturdy in the outside and soft in the inside to protect your camera and other accessories from dust, scratch, shock and vibration. You don't have to sacrifice style for solid protection, get this and lug your precious camera around in style.